Our Gallery and store hours are Thursday and Friday 11am-2pm or what we like to call Better than Bankers hours. It's not unusual to occasionally meet local artists, musicians and writers sitting and talking during the day (and sometimes into the night). We are around working so give us a call if you want to stop by to see the gallery, eat some mermaid cookies, enjoy the good company, and buy original art and collectibles that will bring a smile to your face. We have two places available for year round vacation rentals. The first rental is a furnished apartment called the Bed and Bagel. The second, the Couch and Croissant, a bedroom in my Art Gallery home with a fold out couch and a shared bathroom and kitchen. Both places come with Wi-Fi, cable and laundry facilities. 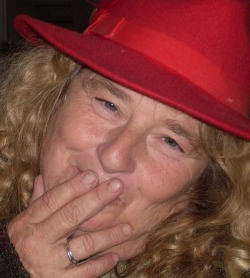 Paulette graduated from Cal State Northridge University, majoring in Printmaking and Silkscreen. A versatile artist, she has been ahead of her time. She has always emphasized using recycled materials in her pieces, using whatever resources and mediums she could access to create her images. Another artist gave me the name she loves the most, Artist of Whimsey. She went from printmaking to illustration, to painting while she traveled, doing murals, portraits, and festivals to support herself in her nomadic ways until she discovered mermaids. Or perhaps mermaids discovered her.. and a marketing tool (and way of life), "Mermaids Don't Cook", was born! 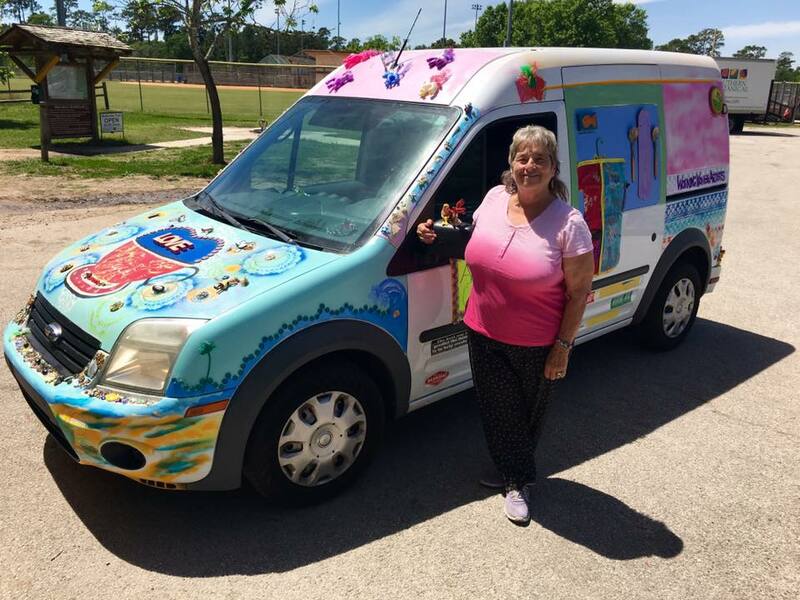 Paulette's great adventure that took her 10,000 miles that first summer and she still participates in art car events, festivals and private portrait parties for clients.